One of the things that makes us most proud of working at SHC is the work we do for multiple non-profits that are close to our hearts. Following are three events we are helping to promote this month; please feel free to share this post with your own networks so we can raise even more awareness about these important initiatives. Second Annual Long Island Awareness Walk at Eisenhower Park in New York. The goal of the walk is to raise awareness, fund better treatments, and find a cure for the disabling and painful neuro-inflammatory disorder known as Complex Regional Pain Syndrome/Reflex Sympathetic Dystrophy. This disease occurs when the nervous and immune systems malfunction in response to tissue damage from a trauma. CRPS/RSD causes nerves to misfire and generate constant pain, discoloration, temperature changes, and other disabling symptoms that make simple life tasks like showering and holding a loved one’s hand difficult. This day filed with hope and fun is the perfect time for CRPS/RSD patients, their families, and caregivers to meet others with this condition and learn more about it. There will be educational and medical resources, activities for children, raffle prizes, and a barbeque lunch! For more information, click here. 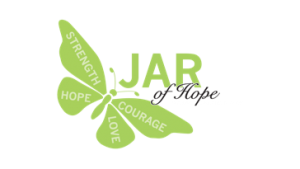 JAR of Hope, a non-profit organization dedicated to raising awareness and funds for researching a cure for Duchenne Muscular Dystrophy, will attempt to break the world record for the largest group to gather to do pushups on September 16, 2017, at iPlay America in Freehold, New Jersey. The pushups are to honor the children with DMD, a disease that leaves them wheelchair bound and unable to do pushups on their own. The event has been planned to coincide with the inaugural Duchenne Awareness week, which was declared in the state of New Jersey for September 7-13, 2017. The world record attempt will also mark the culmination of JAR of Hope’s “10 Push-ups for $10’ initiative to visit 79 gyms in 79 weeks. For more information, click here. during the 16th annual Stephen Siller Tunnel to Towers 5K Run & Walk in New York City on September 24, 2017. 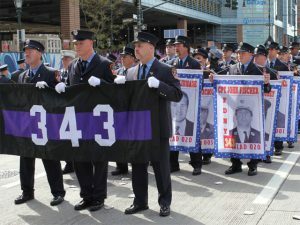 An expected 30,000 participants will retrace thefinal footsteps of Stephen Siller, the late FDNY firefighter who made the ultimate sacrifice during his heroic efforts to rescue survivors of the terrorist attack in New York City. 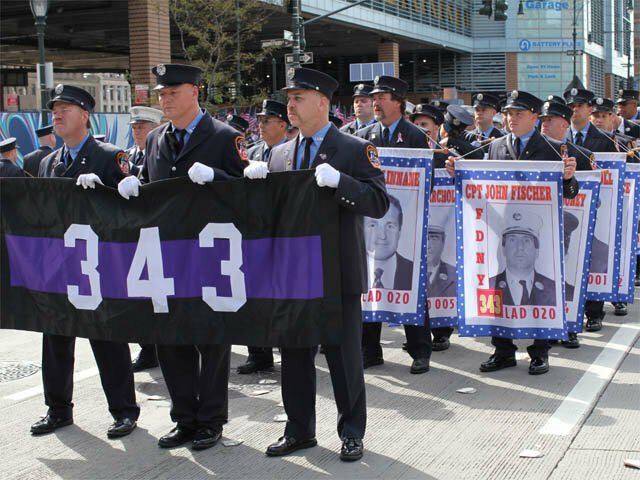 The annual event has become an iconic tribute to not only the 343 firefighters, but all first responders, who selflessly laid down their lives that day. Participants will also enjoy a post run party and barbeque, event T-shirt, and a free concert! For more information click here. Let us know if you’ll be in the area for any of these events. We’d love to see you there!